Beautiful travertine Tile and Installation – Visit Bay Tile Kitchen & Bath, the Clearwater, FL Area’s Travertine Tile Experts! Travertine is a form of limestone deposited by mineral springs, especially hot springs. Travertine tile often has a fibrous or concentric appearance and exists in white, tan, and cream-colored varieties. Travertine tile is often used as a building material. Travertine tile can add an exceedingly stylish touch to any space; subtle beauty, smooth textures, and stately classicism to residences and commercial spaces. For thousands of years travertine has inspired builders and designers alike. The Romans mined travertine for building temples, aqueducts, monuments, bath complexes, and amphitheaters such as the Coliseum. Travertine is one of several natural stones that are used for paving patios and garden paths. It is sometimes known as travertine limestone or travertine marble; these are the same stone, although travertine is classified properly as a type of limestone, not marble. The stone is characterized by pitted holes and troughs in its surface. Some installers use a grout to fill the holes, whereas others leave them open — travertine can be purchased "filled" or "unfilled." It can also be polished to a smooth, shiny finish, and comes in a variety of colors from grey to coral-red. Travertine is most commonly available in tile sizes for floor installations. Travertine is one of the most frequently used stones in modern architecture. It is commonly used for façades, wall cladding, and flooring. With travertine, you gain stability and long-lasting performance as well as the beauty of premium natural stone tile. The grade of travertine is determined based on the number of holes within the stone; the less holes, the higher the quality. Holes within Travertine stone are part of the stones nature and criteria. There are Travertine tiles that are honed and filled with finish. The difference between grades lies in the amount of filling used. A honed and filled travertine tile with a whole lot of filling is considered of lower quality compared to a tile with minimal filling. What are the most popular uses of Travertine? Why Buy Travertine From Us? At Bay Tile Kitchen & Bath, our objective is to provide you with a broad selection of travertine tile so you can bring to life your design ideas. We are able to ensure that prices are low and quality is high on travertine tile because we’re industry experts. We don’t cut corners on quality – we insist on consistent high-quality, because we know you demand it of us. So, when you buy our travertine tile, you pay less for premium quality. 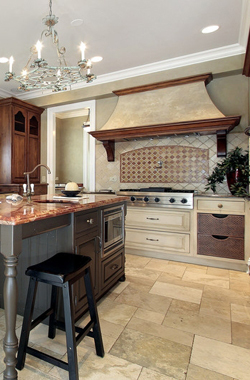 Bay Tile Kitchen & Bath wants to help you complete your projects on-budget. 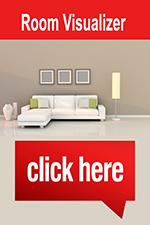 We offer industry-leading prices on all our super high-quality travertine tiles. And we have it all, including a variety of colors, styles, materials, and sizes. To get the most out of your travertine tile investment, consult a tile installation company to skillfully measure and install your new tile. To learn more about how travertine tiles can work for your project, contact the experts at Bay Tile Kitchen & Bath or stop by our showroom in Clearwater, FL for a free consultation!